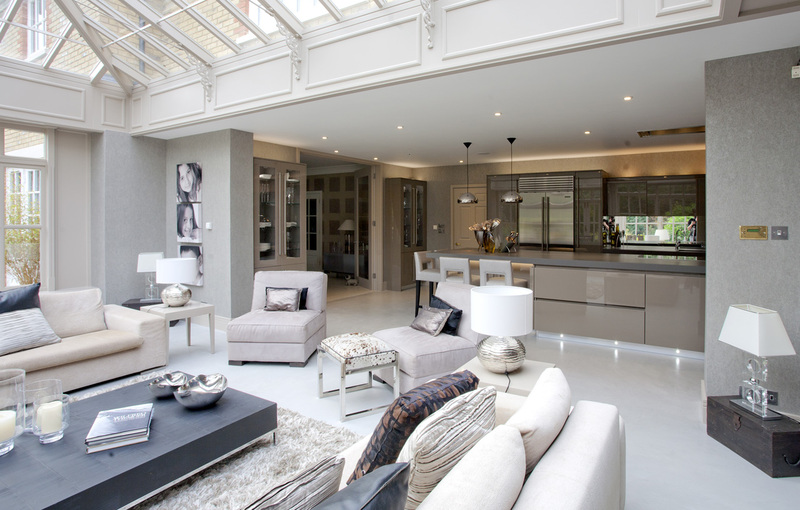 This family brought their home bang up to date by knocking through and connecting the kitchen to the orangery. 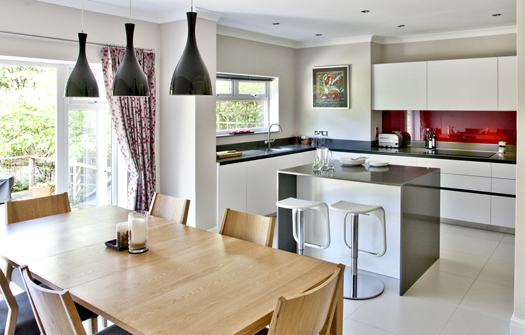 This instantly created excellent light and space in this minimal chic kitchen. 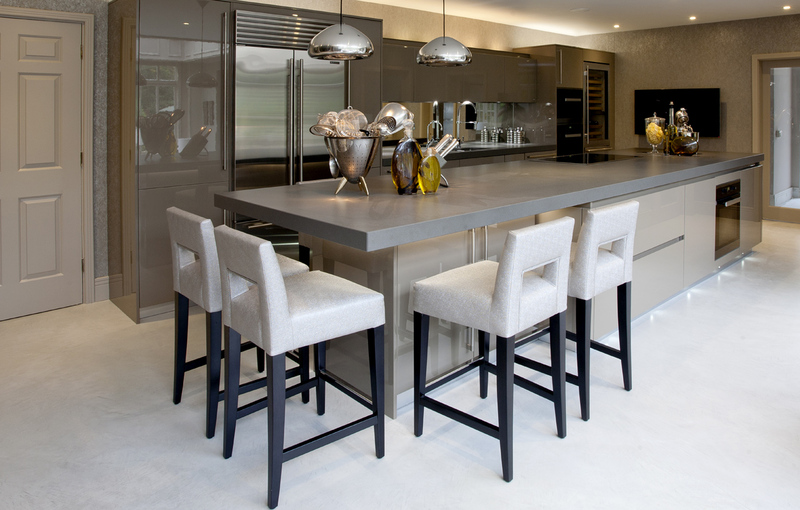 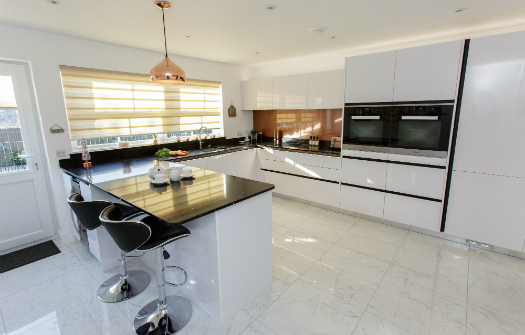 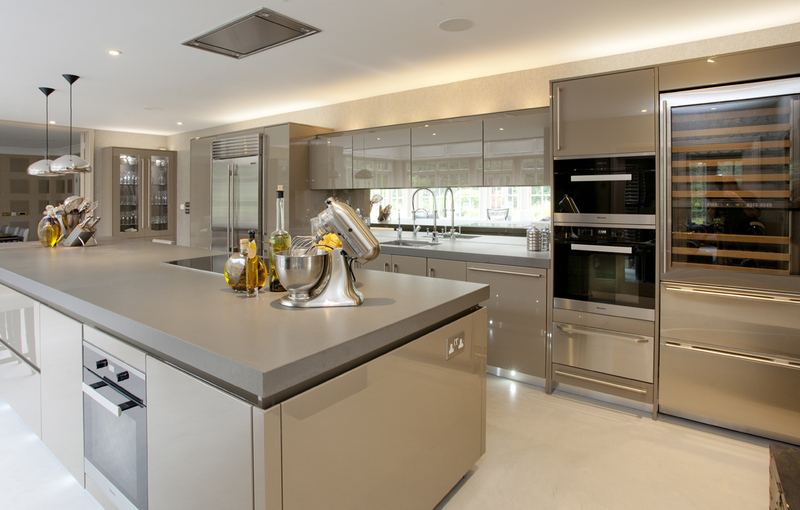 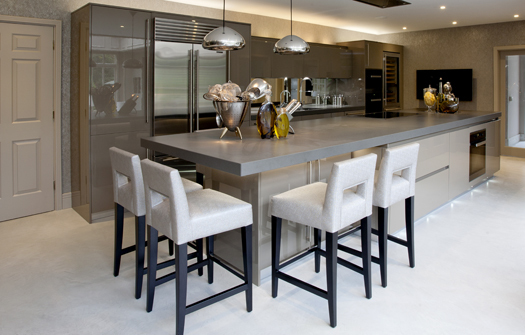 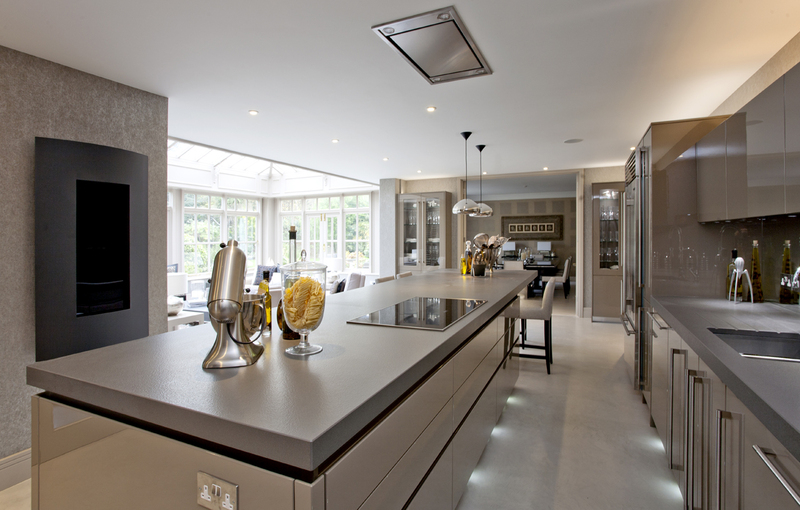 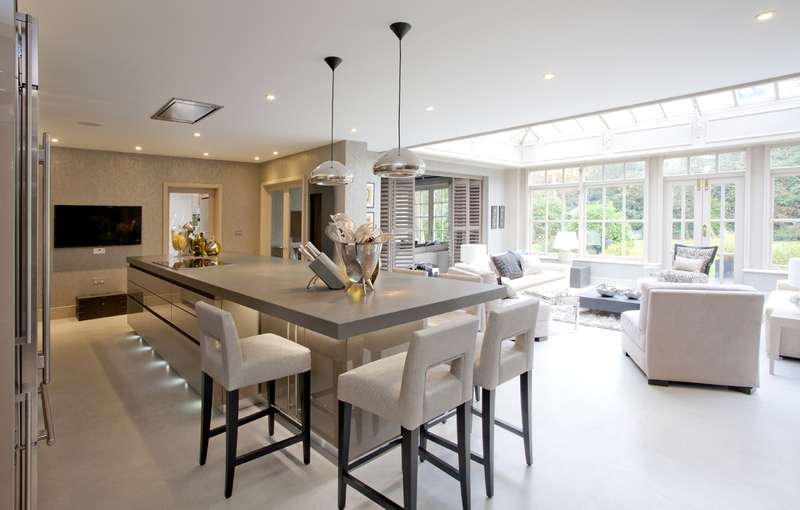 To bounce the light from the orangery, we placed stylish gloss units on the back wall with stainless steel appliances and a stylish mirrored splashback. 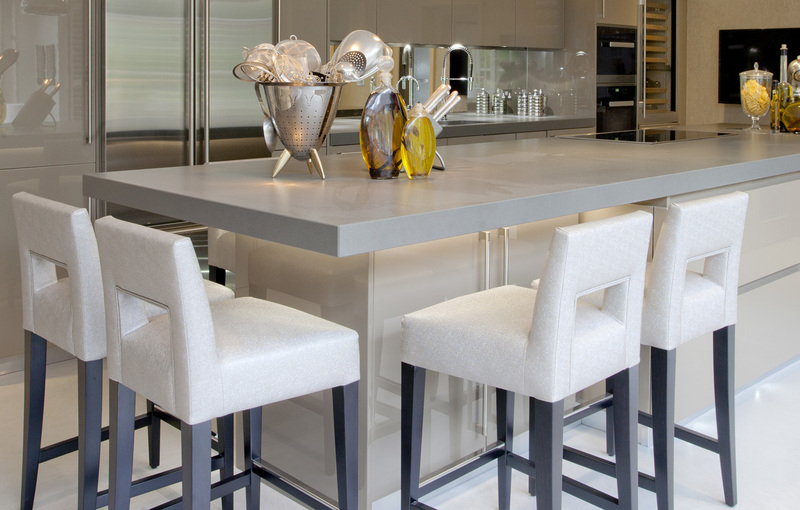 The focus of the kitchen is all about the grand island, a place for storage, seating and cooking. 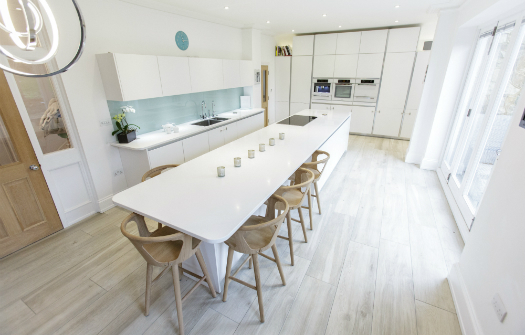 With a 700mm deep textured Cementa Spa Volcano worktop covering over four square metres, the island is now the hub of the family home.